What is an Availability Exception? Availability Exceptions are any changes to a persons Standard Availability which may deem them Unavailable when they usually are, or Available when they usually aren't. An Unavailable exception may be used to reflect Staff taking personal leave or annual leave. An Available exception reflects aStaff member being available when they usually aren't e.g. uni holidays. N.B. 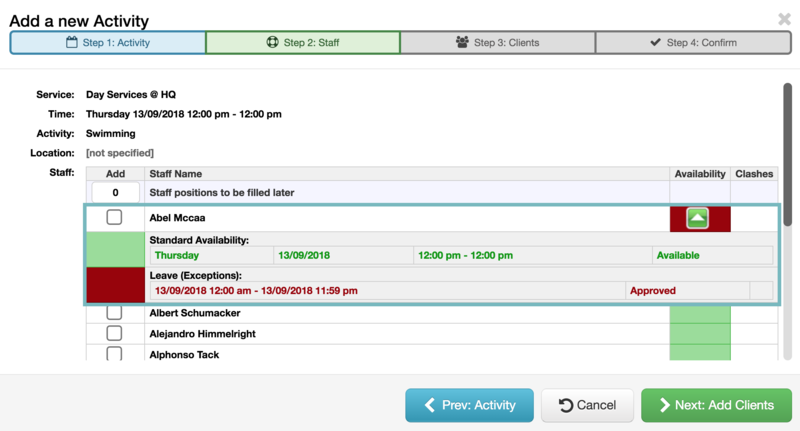 This functionality is rather limited and is solely designed to assist communicating Staff availability when updating the Roster and does not have the leave management capacity of a dedicated HR/Payroll platform. Therefore we recommend Providers test out this functionality to decide if it will be of use to your organisation before commencing using this. You'll notice this is in a Status of 'Pending', it is awaiting approval by the relevant manager. Once this is saved, it will turn to green to reflect Abel being Available on this day. Where do Availability Exceptions appear? 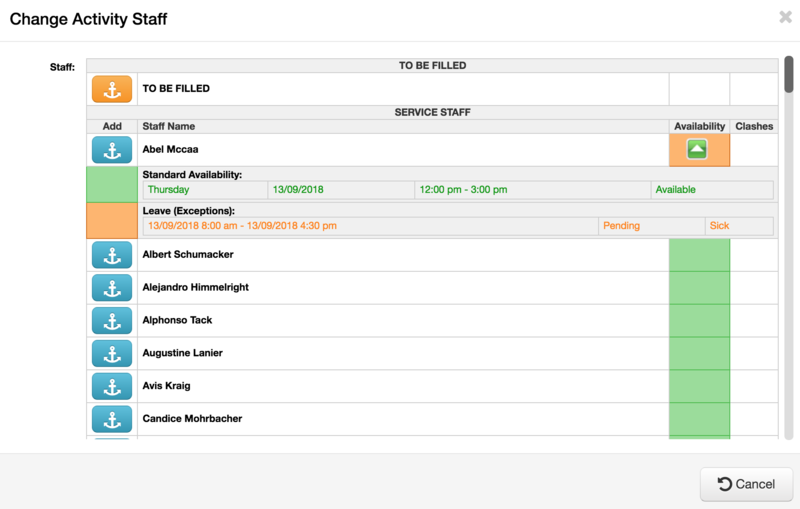 Availability exceptions display when rostering Staff into Activities. These will appear in orange if the exception is pending, or red if it has been approved. Can Staff and Clients continue to be added to the Activity if there is an issue or clash? 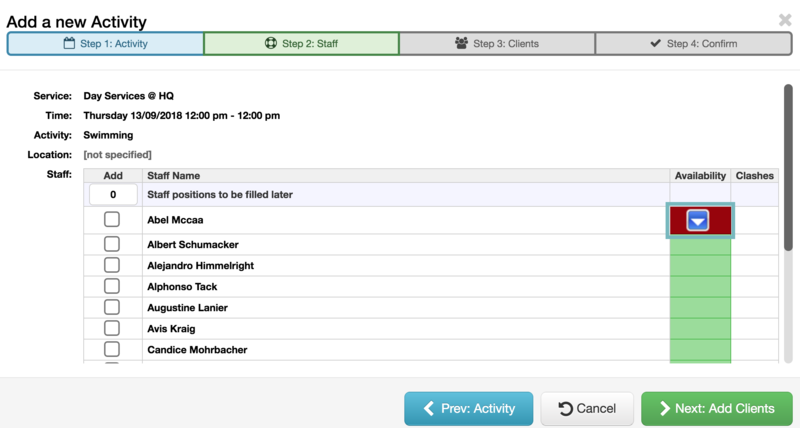 If there is an Availability issue or Clash, the Staff member or Client may continue to be added to into the Activity. However there will be a warning bar displayed at the top of the Activity record to alert you to this, along with Activity Icons displayed to assist. A report is available to download for Staff with the 'Human Resources For ALL Staff' privilege which summarises any leave entered as an Availability Exception, along with any Annual and Personal leave amounts. N.B. 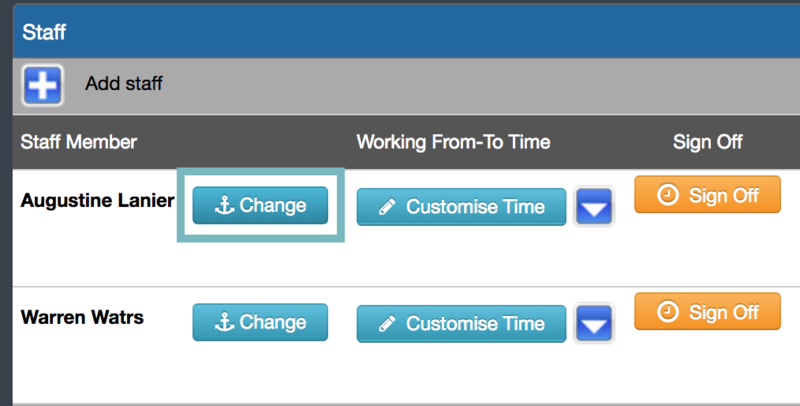 SupportAbility does not export Availability Exceptions as, or with, Staff Timesheets.